Orange Face – I Can Do It! 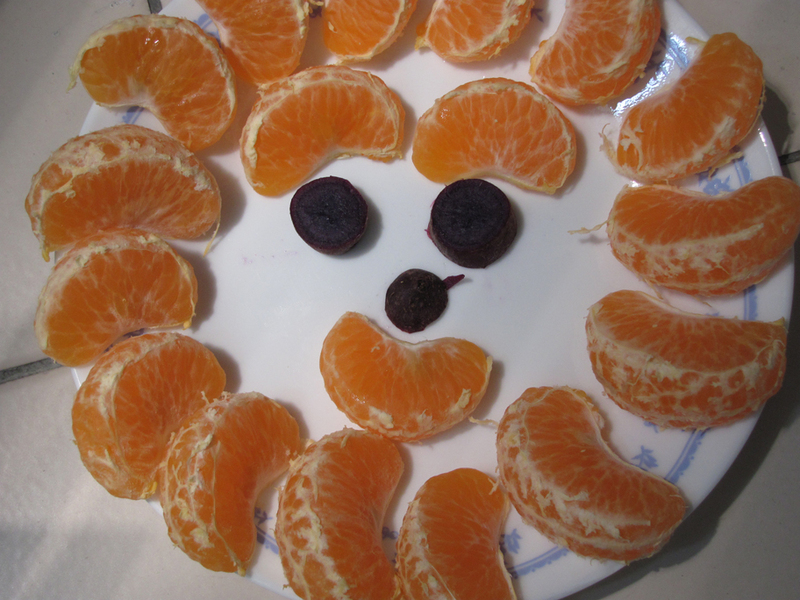 We had friends over for CNY and I got LA to peel the small mandarin oranges and arrange the slices nicely on a plate. We used steamed sweet potatoes for the eyes and nose. LA really took pride in the peeling and arranging of the oranges. She did a pretty job!